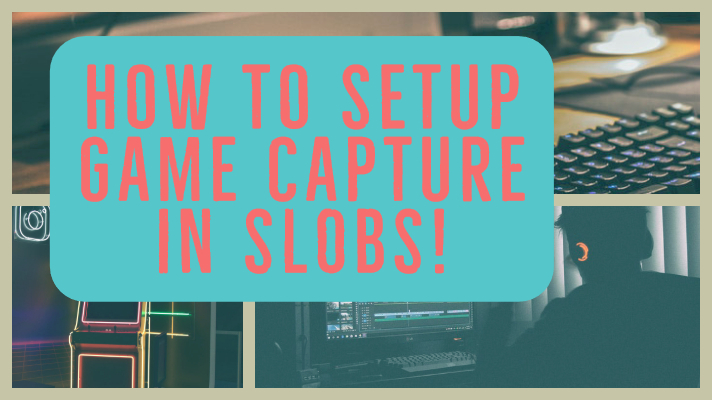 This is a brief overview of the options for using Streamlabs OBS to game capture from your PC, from another PC with NDI on the same network, using a capture card, and what to do during some of the most common hiccups. By the end of this, you should feel more comfortable getting your stream started off on the right foot. 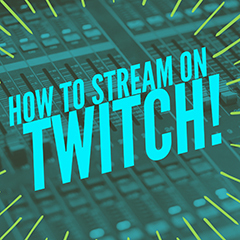 Of course, additional information can always be found in the How to Stream on Twitch series of articles. How you capture the game’s audio and video for Streamlabs OBS is going to largely depend on what type of game you are trying to capture and how you intend to encode that content for your stream. The first steps are going to be shared among all of these methods, which is to make sure you have SLOBS installed and setup with your stream key and the correct output and video settings. From there you’ll want to make sure you are on the EDIT tab within SLOBS and not Live or Dashboard or anything else for that matter. Then you will click the + on the Sources box in the bottom middle. Do you intend to have the game open on the same PC which you are running SLOBS? Encoding the content for streaming is going to take up a large chunk of your CPU, which may affect the performance of the game you want to capture. If it’s an older game, or your system is powerful enough that it’s a non-issue, then it won’t be a big deal. However, if your viewers start complaining about frame drops, stuttering, video loss, or you begin seeing “Encoding Overloaded” messages in the bottom bar of SLOBS, that’s the wall you are running up against. Go ahead and select Game Capture when adding a new source. From there you’ll be able to select which active application you’d like to be captured for the stream. If this seems like a hassle, you can also have it select and use any full-screen application that is active or assign it to a hotkey combination. If you have two computers capable of running OBS, but don’t happen to have a capture card, then you can still somewhat reliably capture your gaming from PC #1 using NDI. NDI stands for Network Device Interface, which isn’t particularly helpful trivia. You’ll be using it to capture your video and desktop audio from PC #1 so that it can be used as a source on PC #2 and streamed from there. This has the benefit of a Dual PC Streaming setup without the cost of a fancy capture card. There are some drawbacks, mostly in setup and lack of overall documentation and general lack of familiarity others will have in the event of problems. If it works for you, then it’s great. I use it personally so that I can stream during business hours making use of my wife’s gaming rig to handle all the heavy encoding while my gaming rig handles all of the gaming. You’ll want to install it on both PCs. However, it is important to note that SLOBS can not output via NDI. It can use NDI as a source however. You can use SLOBS on the encoding PC and control your stream from there while gaming on the PC that runs OBS Studio with NDI setup on it. If you have a capture card, such as an Elgato HD60, all you should have to do after the individual device’s potential driver installation is add a Video Capture Device as a source and select your capture card. From the gaming PC you’ll need to split the video output leading to your monitor. A DVI splitter and then a DVI to HDMI cable to connect to the capture card can be handy here. Assuming you followed the first half of the previous capture card steps, all you should have to do is connect the console’s HDMI cable or video/audio outputs into your capture card. 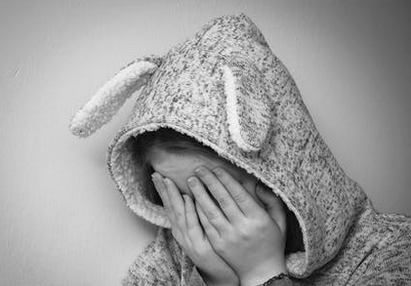 No tears. Only streams now. Game Capture displays nothing but blackness, like my heart. Some games refuse to play nicely with OBS’s game capture. Try window capture instead, and worst case scenario, do a Desktop capture and crop the source within your scene to only display the game. Audio/Video out of sync. This is more common with NDI and lower end capture cards. Find yourself a video/audio sync test on YouTube, such as this nice one to prevent you from gaslighting yourself. You can add a delay in the audio properties or as a filter for video. Play with it until it seems about right. A few hundred millisecond delay in your stream is nothing to fret over since Twitch is going to delay it another few seconds anyways depending on your viewer’s connection. Capture card causing input lag. Beyond getting a better capture card and spending more money on things like a framemeister, you may want to try splitting your feed. Have one half go to the computer that’s doing the encoding and the other go to a TV that you will use to play the game. Low video quality. Check your stream output and video settings. Sure, you may like playing games at 144hz and 250 fps at UHD resolutions, but you ain’t going to be encoding at that quality and playing on the same computer anytime soon. That should cover just about everything you’ll need to get started with setting up game capture within SLOBS. If there are any additional questions, comments, tips, tricks, advice, or ranty criticisms and spam be sure to comment with them below! Also be sure to give a follow on social medias because I’m totally hip and not an old man trying to trick you.